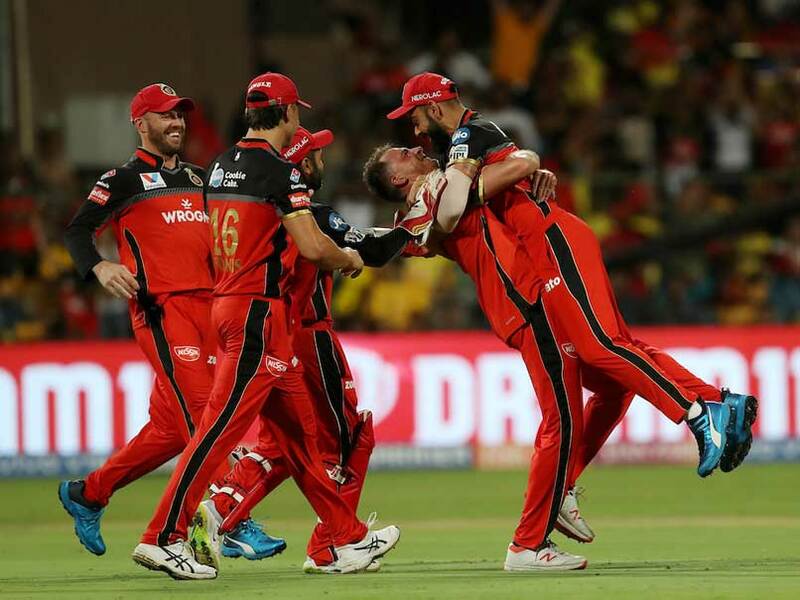 Royal Challengers Bangalore, which returned to winning ways after a series of defeats, will be hoping to keep the momentum going when it takes on Mumbai Indians at the Wankhede Stadium on Monday. The Virat Kohli-led side, which is reeling at the bottom of the points table, defeated Kings XI Punjab in Mohali on Saturday, courtesy half-centuries by AB de Villiers and Kohli. Against Mumbai Indians – which suffered a last-over defeat against Rajasthan Royals in its previous fixture – the Bengaluru side will once again be relying on the star duo to fire. On a day when the Indian squad for the World Cup will be picked in Mumbai, here is a chance for Kohli to recreate his magic in front of a capacity crowd in the ‘City of Dreams’. So far in the tournament, nothing has really worked for the star-studded side. Apart from Kohli – 270 runs from seven matches – and de Villiers – 232 runs in seven outings – the batting department has fumbled. Even though stumper-batsman, Parthiv Patel, has shown commitment and amassed 191 runs, the others have failed to step up. Now if the franchise hopes to progress in the tournament, its middle-order has to show resilience – something that has been missing so far. On the bowling front, the team’s biggest asset has been Yuzvendra Chahal – who has scalped 11 wickets so far. The spinner, who has been quite consistent, has the potential to rip apart Mumbai’s strong batting line-up. He, however, would need support from his fast bowling colleagues – who have been largely inconsistent. But with South Africa star, Dale Steyn, joining the side, RCB’s pace department has been bolstered. But it won’t be an easy task to turn the tables on Mumbai Indians. With captain Rohit Sharma back from a leg spasm and South African Quinton de Kock among runs, the side will be hoping to put its campaign back on track. In the middle-order, it has Surya Kumar Yadav, Kieron Pollard and Hardik Pandya to take care of things. However, it needs to be seen whether West Indies quick, Alzarri Joseph, who sustained a shoulder injury while fielding in the last game, is fit for the fixture. There are speculations that Joseph has a tear in his right arm and could miss out on the remaining season. However, there hasn’t been any official word from Mumbai Indians yet. Despite a dream start to the tournament – scalping six wickets for 12 runs against Sunrisers Hyderabad – Alzarri proved expensive against Rajasthan Royals and in case he misses out, the onus will be on the seasoned Jasprit Bumrah. With chances to qualify for the play-offs still alive, both the teams have plenty to play for.